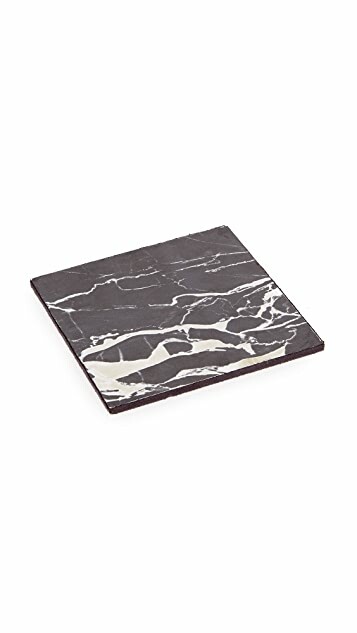 Glossy acrylic Carla Carstens coasters with an elegant marble finish. Storage tray included. Set of 4. Carla Carstens is an NYC-based PR wiz, entrepreneur, and world traveler. 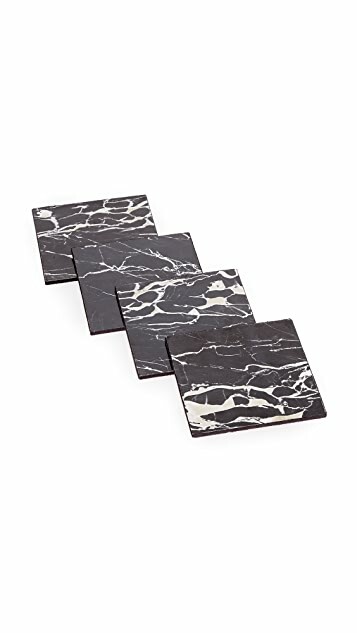 After a decade of work with designer jewelry brands, she was inspired to start her own collection of accessories for the fashion-forward home. 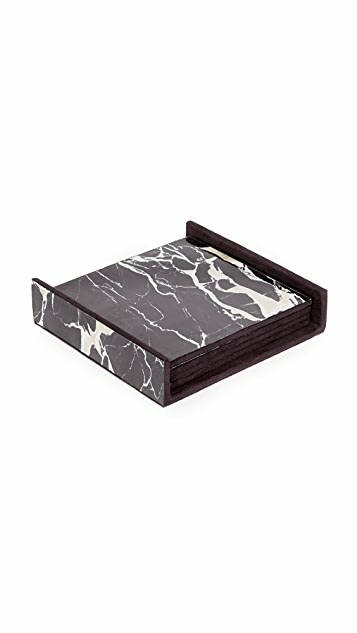 Debuting in 2016, the Carla Carstens home line offers modern, well-designed, ethically sourced products that are sophisticated, yet accessible—including stylish trays, useful boxes, and elegant photo frames.